My name is Garrie, and I’m an addict. This morning, as I do every morning, I leaned into the mirror on my bathroom medicine cabinet to put a contact lens into my right eye. It is a struggle, as I cannot see the lens and have to fish around the little well of soaking solution with fumbling fingers. However, without this lens, I cannot see to apply my makeup, and without makeup, I cannot go to work. It’s as simple as that. I began my love affair with cosmetics as a young girl. 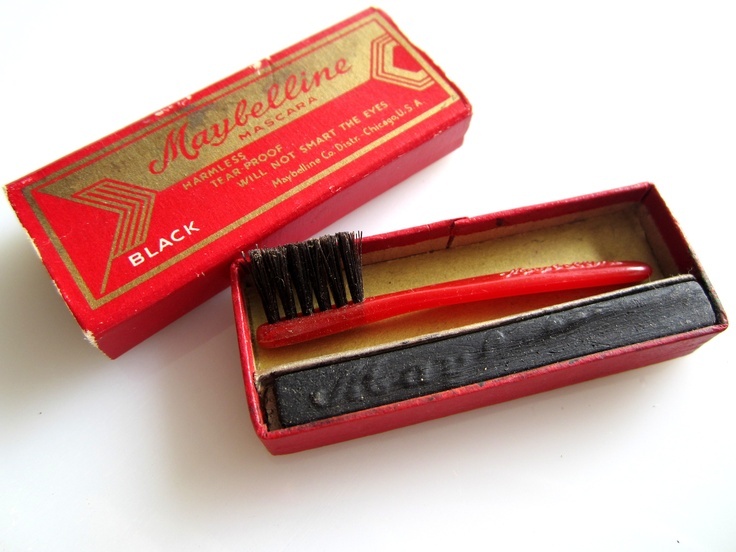 My mother used very little makeup; Mabelline cake mascara that came with a tiny application brush, a compact of pressed powder, and a tube of red Helena Rubenstein lipstick. When she was busy in the kitchen, I would lock myself in the bathroom, examine each item, smell its contents, and dream of the day I would be old enough to apply small touches like my mother. On rare occasions, I would try her lipstick, slowly twisting the base, but not too far, least I break the stick or wear down the point. I carefully applied the ruby-red to my little girl lips, admiring myself in the bathroom mirror while my little brothers and sisters complained from outside the door that they had to pee. Knowing my mother would never allow her seven-year-old to emerge from the house like a painted lady, I scrubbed at my lips until they resembled swollen strawberries before stealing out the door and skipping off to see if my sisters would notice how sophisticated I looked. My sisters were not as captivated by the world of cosmetics as I, although Martha-Jean once reported for breakfast with bright blue eye shadow on her lids. It was the latest fad- all the girls were wearing it- and my older sister bravely and unapologetically brushed it on and sat down to eat her oatmeal, until my mother caught a glimpse of her. Mom promptly sent Martha-Jean upstairs to wash her face, sputtering “No child of mine is going to leave the house looking like a lady of the evening!” I didn’t really know what a “lady of the evening” was, but it sounded intriguing. I would have asked my mother for an explanation, but her face was a bit purple and distorted, and it didn’t seem like the right time for questions. 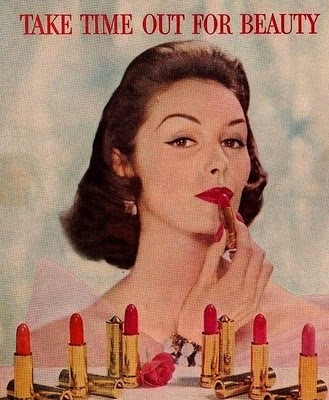 As I approached my teens, I heard the call from the drugstore counters and began saving my money for lipstick and mascara. My first purchase was a tube of clear lip gloss that hung from a cardboard display on the drugstore wall. It cost one whole dollar and it took me weeks to collect enough abandoned change from the floor of the phone booth by the Monson Inn. When the clerk took the tube off the display and placed it into a neatly folded white bag, I thought my heart would burst. My hands shook as I removed the top of the tube and breathed in its waxy aroma. 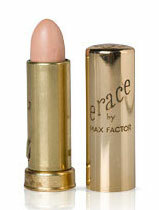 From the first application, I was hooked, and the next years were filled with small purchases; Bonnie Bell Blushing Gel, Max Factor Lash Maker, pale Yardley London Look lipsticks, and a wonderful product called Erase, that made my teenage blemishes less visible. My mother finally realized that her daughters would not be doomed to a life of walking the streets and allowed us to wear eye shadow, as long as we applied it sparingly and avoided very bright colors. During college I rarely wore makeup- probably because I was always running late for class. I’d sleep through two alarms, rising with just enough time to pull on my jeans and sweater, brush my teeth, and run from the dorms to the classroom, arriving just in time to slip into the back row. It was the early seventies and those of us who chose jeans and t-shirts over disco polyester didn’t bother with much jewelry and makeup. During the years that followed college I became so busy juggling kids and work, that I only swiped on a small amount of makeup when I dressed for church, or to go out for a rare dinner date with my husband. One day a coworker remarked on how tired and pale I looked. I went home that night and took a long look in the mirror. My coworker was right, but it wasn’t a good night’s sleep I lacked. I knew what to do, and headed for the closest drug store. I stocked up on blush, mascara and lipstick, and as I opened the packages the next morning, I caught the familiar scents and gently caressed the smooth surfaces with a virgin applicator. I knew my addiction had returned. It wasn’t long before I graduated from drug stores to department store and Sephora counters. I discovered mineral foundation and blush, and began collecting various brushes and fancy sponge applicators. I traded my zipper makeup pouch for a makeup box that is nearly as big as a suitcase. While I know that my makeup addiction feeds Wall Street’s Barbie doll version of how a woman is supposed to look, I can’t help but feel that dressing one’s face is also an art form and an opportunity for self-expression. I like to experiment with different shades and techniques, and although the end product looks pretty much the same day-to-day, it’s fun. It’s an affinity I share with my daughters and some of my nieces, who carefully line their eyes and apply red lipstick that would make their Grammie proud. Also-and don’t underestimate the value of this- it makes me feel a bit better about the way I look before I face the world, and people are less inclined to remark on how tired I look. Besides, I’ll never get over the thrill of opening a new product, gazing at the fresh, untouched surface, and drinking in its delightful aroma. I’m an addict, and I’m not ashamed. I can’t relate. I would rather have a new box of crayons or pencils. Funny- I really dislike coloring. I never could stay in the lines.